Present our card on next screen to the on-site agent working for the builder. This indicates that you have visited our site to search for new homes and you are working with us. (Must do on the 1st visit to builder to receive your rebate). 1. Register below to participate in our Rebate Program! AND Search for New Homes! We provide new home listings and home builders information on our web site. Dallas/Ft.Worth area home builders Information and new home listings will also be sent to our customers from the agents- DFW home builders new home directory. The listings will include locations, viewable homebuilders floor plans, available photos, virtual tours, viewable elevations, and profiles on new homes for sale. Register to receive new home listings in the DFW area. It is important that you register with us online before the on-site-agent and the builder. Just print our online business card (above) to take with you when you visit your home builder. This lets the homebuilder know that we are assisting you in locating a new home. We will verify your purchase contract information. 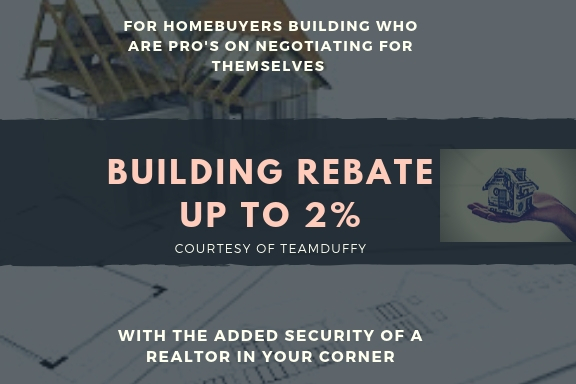 If the homebuilder agrees, your rebate can be applied towards the down payment at closing or can receive your Cash Rebate within 14 days of closing. If you would prefer to have the full services of a Realtor (in lieu of or at a reduction to rebate) to find, view homes with you then negotiate on your behalf, assure builders contract protects you then assist with your building plans, inspecting, lending and all timelines, paperwork, deadlines leading up to and including closing or any problems that might arise. Alicia would love to provide you with exceptional service, simply call 214-682-5009 to get started. The National Fair Housing laws ensures that the commission that is paid to real estate companies from home builders has no effect on the purchase price of your new home. The Cash Rebate our customers receive is taken out of the commission that is paid to us from the home builder.